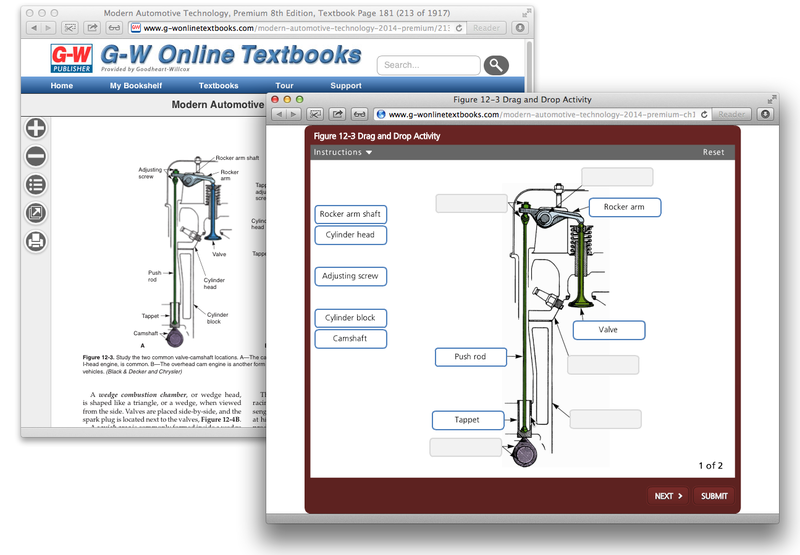 Drag-and-drop activity from one of G-W's Tizra-hosted digital textbooks shows how digital-first puts readers first. Digital-first content enables publishers to do more for the customer. For example, educational publisher Goodheart-Willcox (G-W) recently introduced interactive editions of textbooks that include digital-first content such videos, rich animations, interactive diagrams and illustrations, drills such as e-flashcards and games, as well as self-assessments. The company has moved its digital content creation upstream in its production workflow and now begins with digital in mind, teaming book authors and multimedia specialists in close collaboration. In support of these efforts, G-W wanted to leverage their strong in-house digital team and subject-matter expertise, while avoiding the distraction of unnecessary software development. 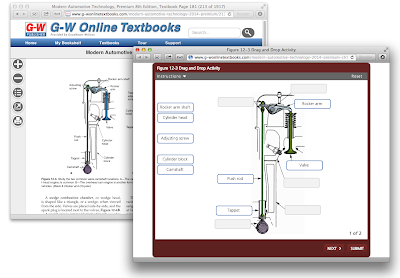 Going beyond their initial efforts to take books online, G-W is now using the Tizra digital publishing software to create interactive editions that bring together a wide range of internally and externally developed digital-first content, including content from its companion websites and online courses. Digital-first content makes all kinds of content more engaging, and makes educational and professional content more effective. Readers stay involved longer, and come back more often, helping you to build your online audience. More and more leading publishers are making the strategic choice to provide digital-first content. To learn more about how Tizra can help you deliver digital-first content or request a demo, contact us today. Or, read the full Goodheart-Willcox case study here.